The forging process began in the ancient times to produce various kinds of end materials with distinctive properties. In the modern times, machines and hydraulic hammers empower the forging techniques to forge steel and other metals. When steel is heated to forging temperature, it becomes ductile and malleable and be molded to a shape of our choice by applying pressure. With proper processing methods, steel forging allows a billet of steel to be shaped permanently without cracking, due to its plasticity. Steel forging needs an induction heating system, forge furnace, or forge oven to heat the steel to a sufficient temperature. Metallurgical recrystallization and grain refinement result from the thermal cycle and the deformation process. 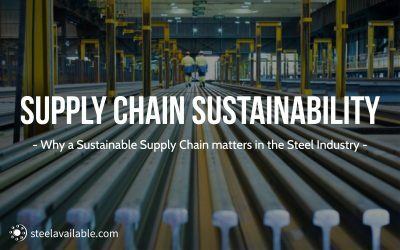 This strengthens the resulting forged steel product, particularly in terms of impact toughness. It’s weirdly enjoyable to see a giant block of steel get squished and shaped. Interested? Check it out here! The forging temperature is between 950 and 1250 degree Celsius, above the recrystallization temperature. It results in good formability and requires low forming forces. The forging temperature is between 750 and 950 degrees Celsius. It leads to limited formability and requires higher forming forces than for hot forging. The forging temperature is at room condition, self-heating up to 150 degrees Celsius due to the forming energy. It results in low formability and needs high forming forces. 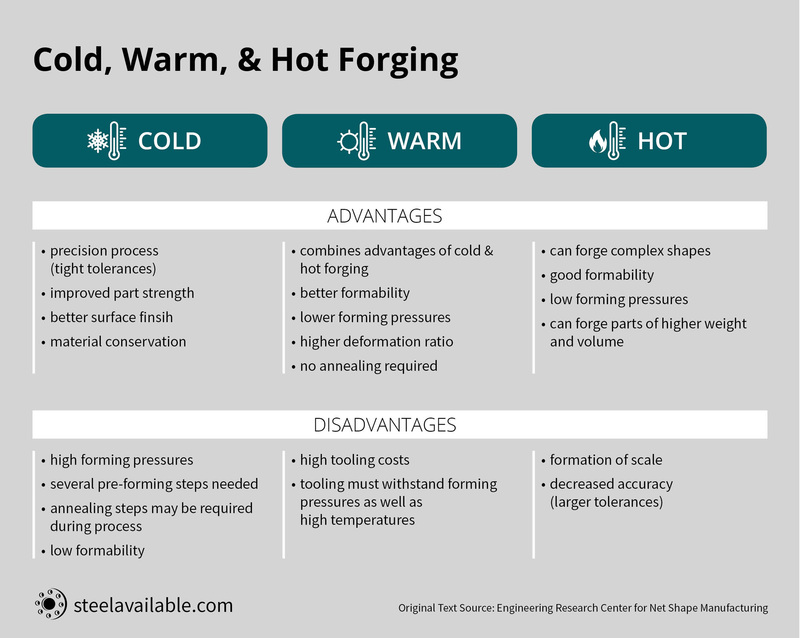 Interested more in the hot, warm, and cold forging process? Get an insight here! 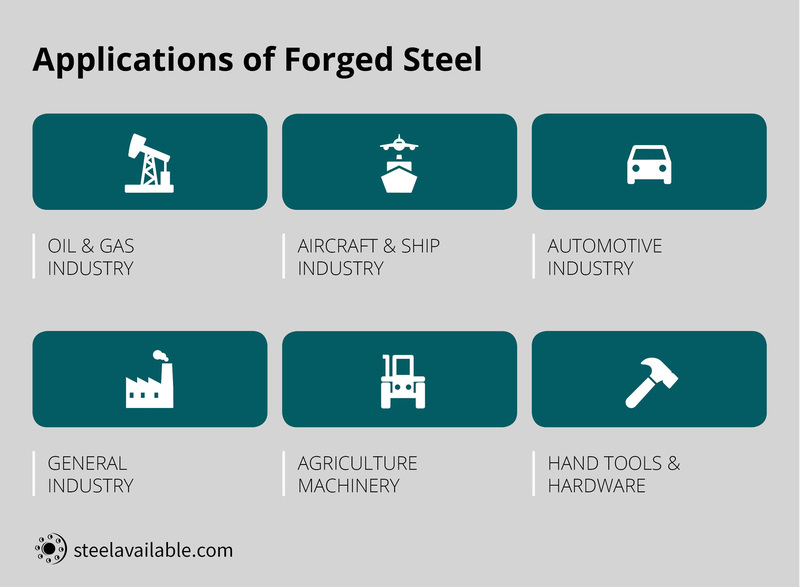 Steel forgings constitute to amazing strength, greater toughness, and top-notch durability. 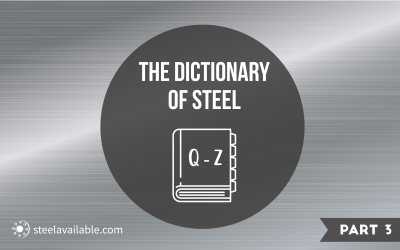 On contact with other substances, the steel is less likely to shatter. Steel forgings are anisotropic in nature. The strength is not consistent throughout the steel forging. Instead, the strength is the most in the direction of the resulting grain flow when the fabrication process takes place. One can maintain the same consistency in all the steel forgings manufactured as the forging process is quite meticulous and measured. 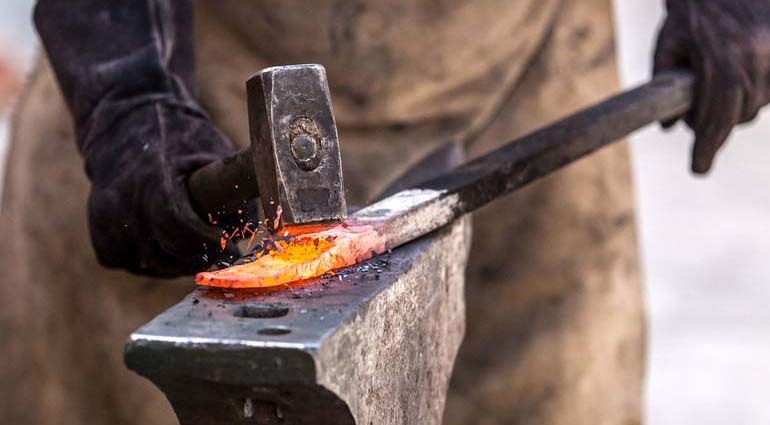 There is a limit on the size and the thickness of the steel that can be forged as shaping the metal is quite a tedious job. In open die forging, the metal piece goes through a deformation between multiple dies that do not enclose the material entirely. The dies constantly hammer the metal to achieve the desired shape. In the closed die technique, the metal is pressed between two dies that comprises of the precut profile of the desired shape. 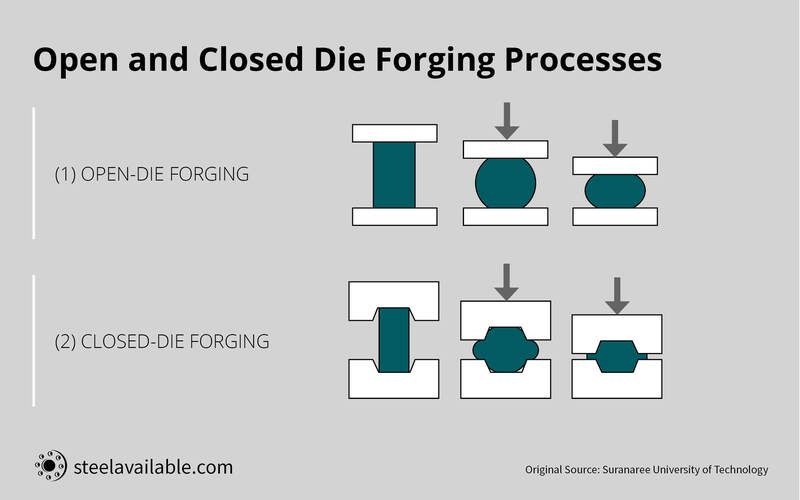 Get more details about the process differences in our article Open Die Forging & Closed Die Forging – What’s the difference? 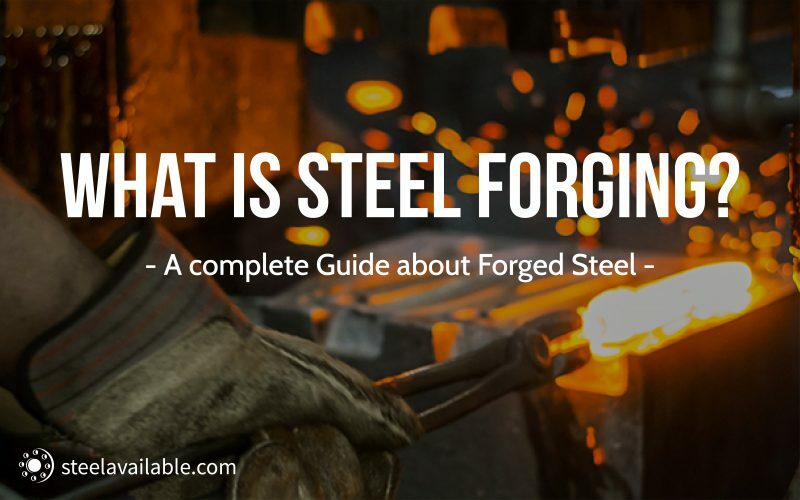 Want a deep overview on the forged steel advantages? Click here!